What is Cyberlogic Developer Network? We understand that developers have special needs. They often need multiple copies of software during development and testing. They also want to retain their ability to support the system they developed after its deployment. This becomes difficult when the systems integrator transfers the runtime license to its customer. How do I sign-up for Cyberlogic developer Network? Please click on the following link to send us an email from your corporate email account, including your contact information. 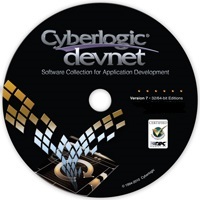 DevNet is a valuable program, available only for corporate and academic users. Also, each corporate user can have only one DevNet account. Therefore, applications with generic email addresses (such as Gmail, Yahoo or Outlook) will not be accepted.